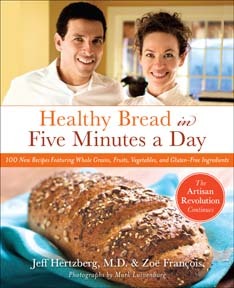 The Book (by Jeff Hertzberg and Zoe Francois): Jeff & Zoë wrote their first book, Artisan Bread in Five Minutes a Day (2007) so that baking homemade bread would be easy enough to become a daily ritual for everyone. That includes people struggling to balance work, family, friends, & social life (pretty much all of us). They refined their methods for refrigerator-stored artisan dough while juggling busy careers and families. I'm sure someone's thinking but you don't even bake bread in Settlers! Yes, that's true, and yes, I've played games where baking bread is relevant (Agricola, anyone?). I picked these because they both scream "game-changer." I've always loved board games. As a kid, we played plenty of Risk and Hotels. Games with dice, games that led to me and my sibling bickering, then starting all over again. The first time someone pulled Settlers of Catan out of a box, I eyed the hexagon tiles with suspicion. Surely this was going to be overly complicated and not that cool. How thrilled I was to be wrong on both counts. Catan taught me what I'd always wanted in a game. Simple rules. Deep strategy. A nice amount of player interaction, but not in a zero-sum setting. Like many people, Catan was my introduction to German-style board games -- games that are fun to play, even when you lose and can't taunt your brothers. If I tell someone I like boardgames, they'll often name an old, bland game and say they don't enjoy that sort of thing. Then they get to hear me gush about Settlers of Catan. As soon as I played it, it became my golden standard for games. Healthy Bread in Five Minutes a Day likewise changed my outlook. I once worked in a bakery. I love the smell of rising bread. But, lacking an industrial proofer, baking at home seemed impossible. Even when I got a hand-me-down bread machine, the recipies all called for exact and complicated amounts of ingredents. Any slight failure or adjustment led to a brick instead of a loaf. Then a friend made a loaf from Artisan Bread in Five Minutes a Day. I tried it, loved it, and picked up the healthy sequel, because I'm a huge fan of whole wheat. This dough actually rises. I don't have to knead it. I can store it in my fridge until I'm ready to bake -- whether I'm making a loaf, muffins, pizza, or delightfully crisp grissini, which make a perfect snack for my little kids (my favorite for grissini is the millet dough, sans fruit -- it makes for tantalizing texture bits). Better yet, my little kids can help me stir the dough together, which they love. The ingredients are simple enough that I have a number of our favorite recipes memorized. Easy. Both of these were revelations. If you haven't played Settlers of Catan and don't like board games, head to your local board game store. Every shop I've been to has a copy in the back, and especially if you go during a board game night (most stores seem to have these), someone could probably teach you how to play. If baking your own bread seems lovely but impossible, check out the book. It's made my life a tastier place.